Second day in Angkor. 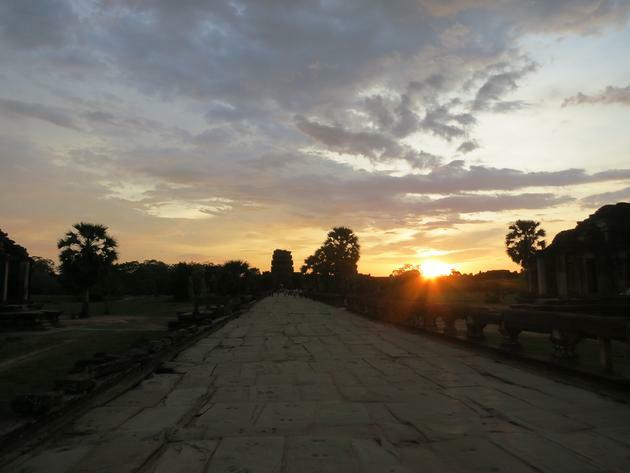 This time waking up at 4h30 to witness the sunrise in front of Angkor Wat. This is early but trust me, you don’t want to miss it. 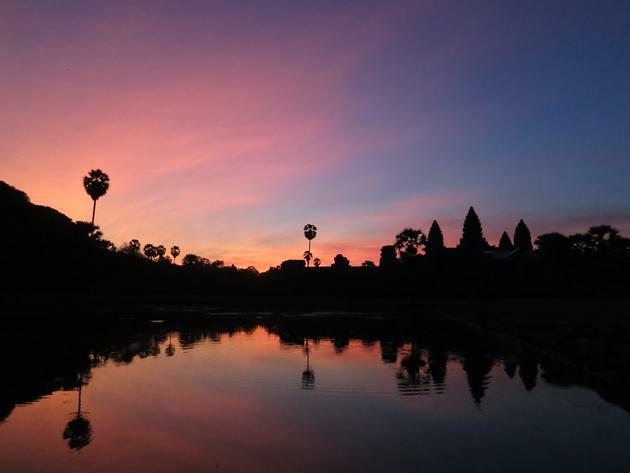 As the sun rises, the sky lights up in shades of red and purple, the shadow of Angkor Wat in front. The view from the left side of the temple, where most people gather, is beautiful in the very early morning. But as the sun emerges from the horizon, move to the right side and it will appear behind the temple, creating a magnificent perspective. 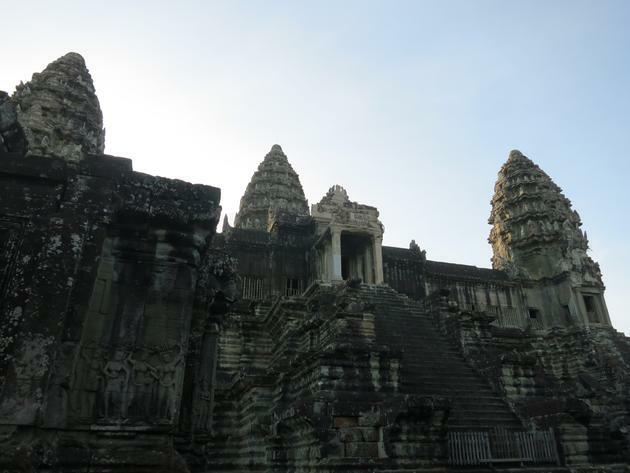 Visiting Angkor Wat right after sunrise is nice as there are not too many people. There is a lot to see but plenty enough time until 7h40 when the stairs to the top open. Had breakfast near Angkor Wat (only place in Cambodia I had Nutella pancakes!) then on to Ta Prohm, one of the most iconic temple. 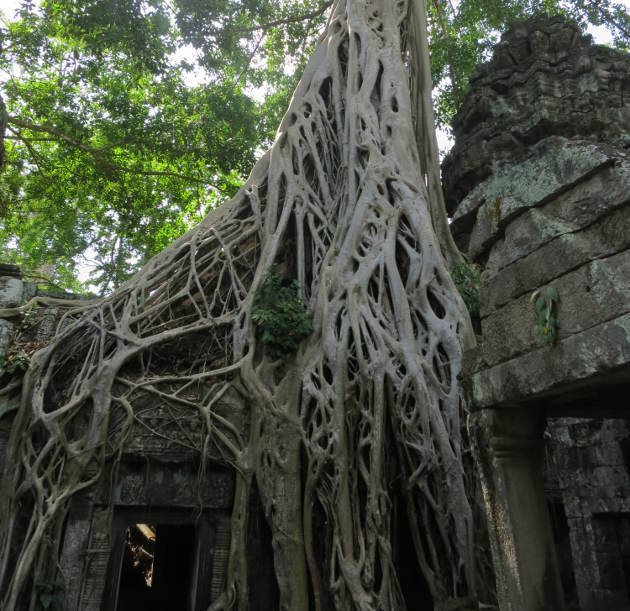 Also known as the Tomb Raider temple, it is famous because of the trees that grew on top of the walls with their roots tightly holding to the stones. This is the place I liked the most as the atmosphere is unique. It’s easy to let your imagination wonder and feel like Indiana Jones for a few minutes. We ended the morning with the visit of Angkor Thom and the famous Bayon temple. Angkor Thom used to be the capital city of the Khmer empire. It is surrounded by a wall which you enter through impressive gates. 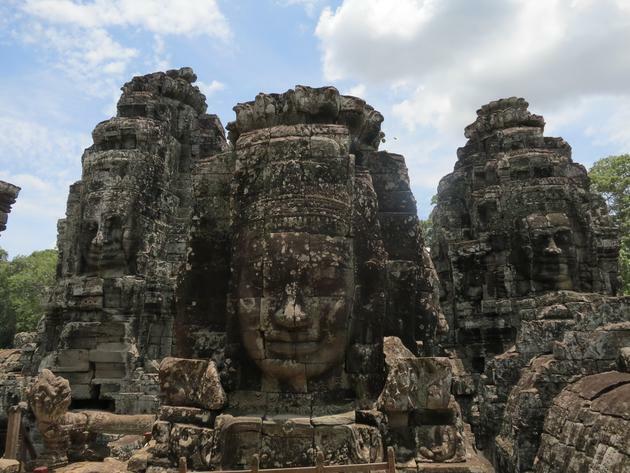 The Bayon temple is quite unique with its 200 huge faces staring at you. After a much needed rest in the guest house (add 3$ more to the Tuk Tuk daily fair to go back to town) we went back for the sunset at Angkor Wat. Again, beautiful. On the third day we only came back for the sunset from Phnom Bakheng, the most popular place to enjoy it. However I don’t understand the appeal and found the view from Angkor Wat better. 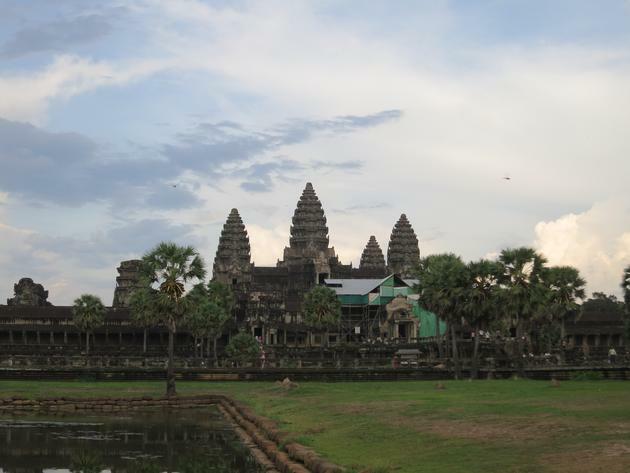 This concluded the exhausting but unmissable visit of Angkor. It’s truly a wonder of the world and should be at the top of your travel destinations.